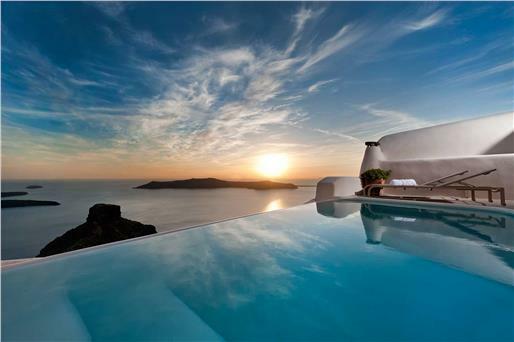 Built in traditional Cycladic architecture, Santorini Mansion at Imerovigli is centrally located in the village. 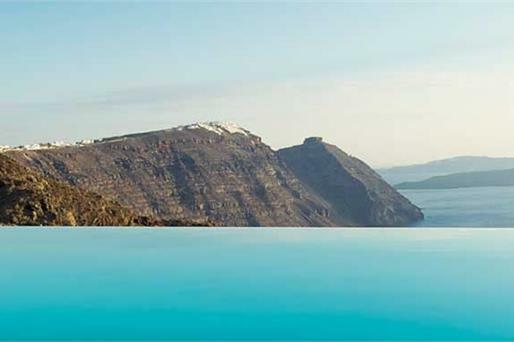 It features accommodation with views of the caldera and the volcano. 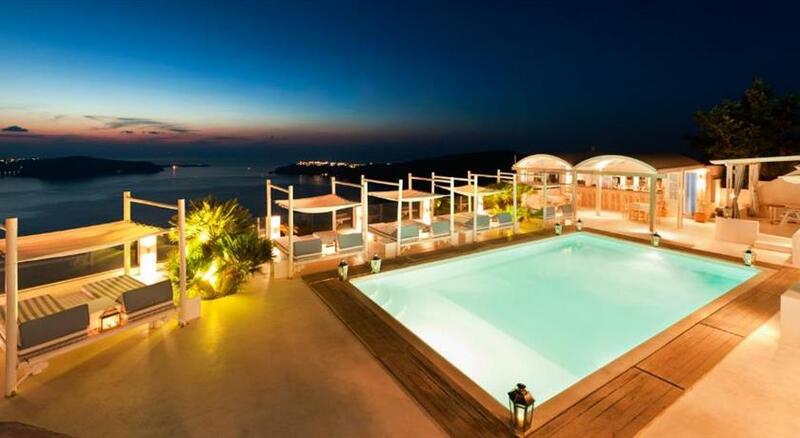 Free Wi-Fi internet access is available throughout. The cave-like structured units are air conditioned and offer a flat-screen satellite TV, DVD player, safety deposit box and fridge. Some include a private room with spa bath and a kitchenette with kitchenware. 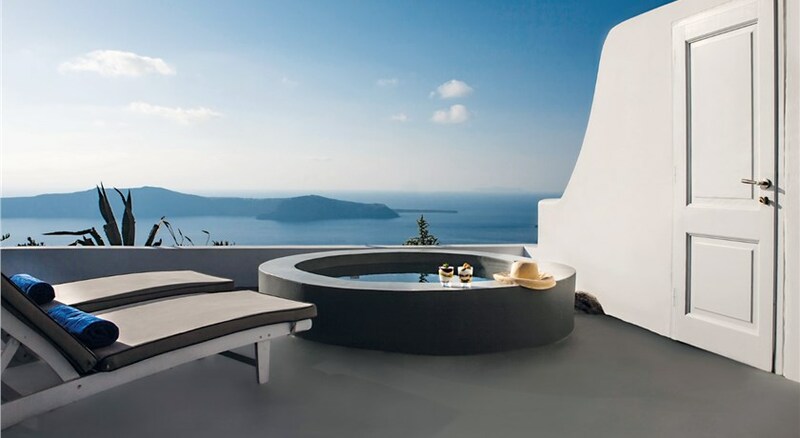 A continental breakfast can be served in the privacy of your room upon request. Mini markets, bakery and taverns are only 100 metres away. Free parking is available nearby. 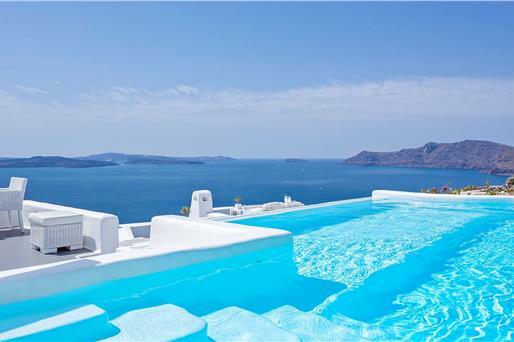 Santorini Mansion in Imerovigli is situated just 1.5 km from Fira town and 8 km from the airport. It is 10 km from the port. Taken from a drone fly over that shows the hotel from above. 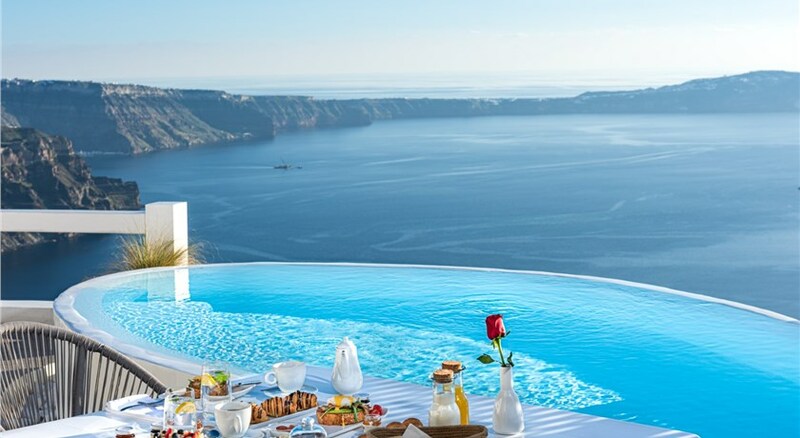 Santorini Mansion at Imerovigli is located in Imerovigli's caldera. All children are welcome. Up to three children under 6 years are charged EUR 30 per night when using existing beds. There is no capacity for extra beds in the room. 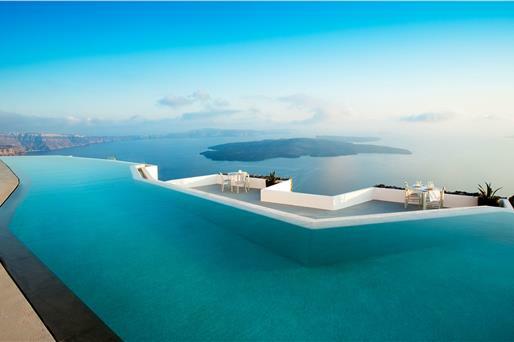 Please inform Santorini Mansion at Imerovigli in advance of your expected arrival time. You can use the Special Requests box when booking, or contact the property directly with the contact details provided in your confirmation. 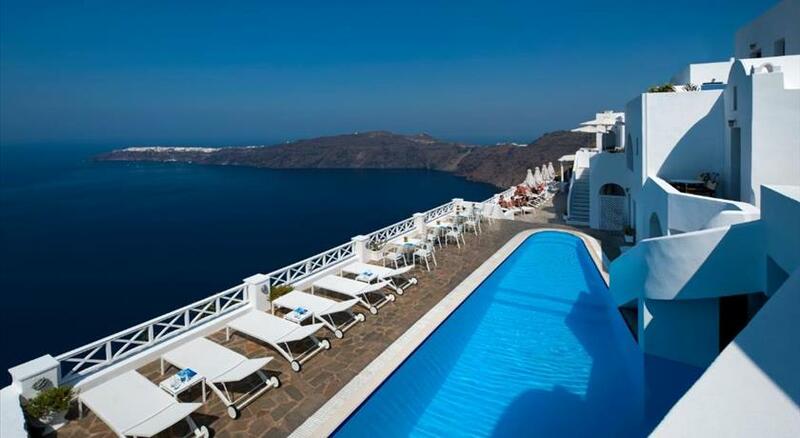 For an extra charge, Santorini Mansion at Imerovigli can arrange for a transfer service to and from Airport/Port. 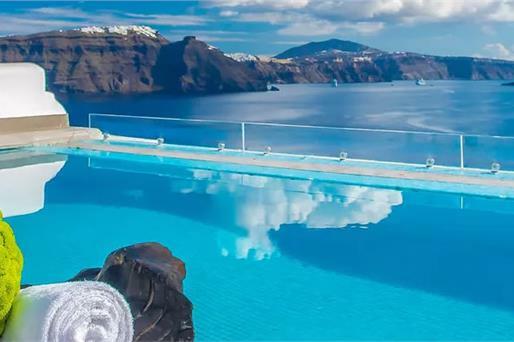 Please inform Santorini Mansion at Imerovigli at least 3 days in advance if you want to use the service. For stays of more than 3 days, there is a free airport/port transfer (08:30-20:30). 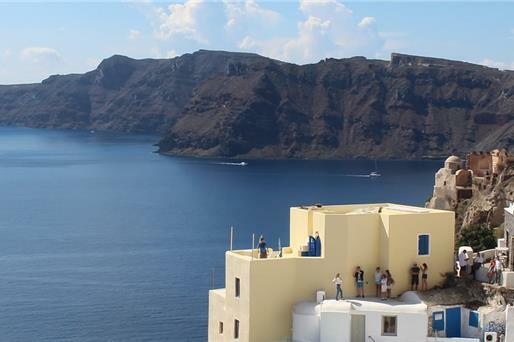 Please inform Santorini Mansion at Imerovigli 2 days in advance if you want to use the service.